LaTrice at Simply Life has given us this challenge, and I love it! Perfect way to look up. Stop over and let her know if you’re in. Let us know, too! It’s November!! and I decided what a great time to begin a 21 – Day Gratitude Challenge! This will be a slightly altered version of the gratitude challenge I participated in and hosted on last year. 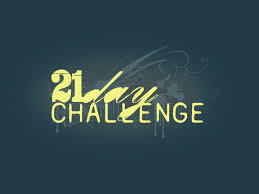 The purpose of this challenge is to focus on the blessing of the Lord and be a blessing to others. Sometimes our outward circumstances don’t look to swell but there is always something to be grateful for and that’s what we will put into practice and share with other’s as we take on this challenge.